Running is no longer limited to professional athletes, as it has become a lifestyle for everyone, a trend for people who want to lose weight and maintain it. Runners often bring stuff with them when they run and their number one problem is how to carry their stuff. Most runners tote a bag but if you have a few number of items to carry, you might need to carry a backpack, but how to choose the right one? This review will help you choose the best running backpack among the hundreds of brands and types available today. Why run with a backpack? The Venture Pal is a foldable bag. This is ideal for people who go to work in the morning and do their runs on their way back home. If you want to bring stuff back home, just unfold the bag cram all your stuff in. 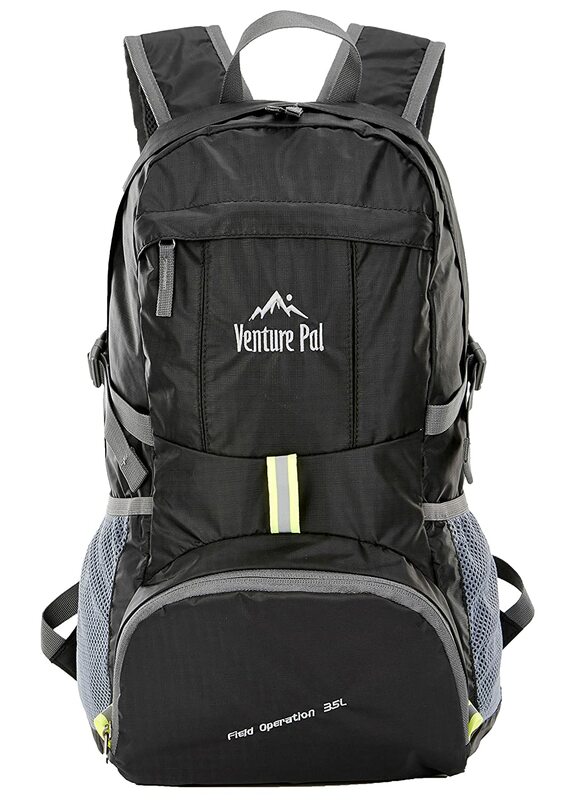 It has a double layer bottom that makes it convenient to carry more stuff when you travel. The bat tacks strategically placed on the stress points will ensure wear and tear endurance. Your shoulders will get tired easily due to the breathable mesh shoulder strap and extra padded cushions. Organizing your stuff is easy with the main compartment and four more pockets at the front and at the sides. It can hold a 13 inch Mac book and with room to spare. The Venture Pal will work fine for either short or long distance travel. The lightweight bag is no burden at all even if you put tons of things inside. You can carry fluids without the bag being bulky because of its adjustable fit. It has a high-quality bladder that can withstand punctures and meets FDA standards for food containers. The sip tube connects with a gasket and its cushioned bite valve comes with a push lock that prevents leaks. Covered by a limited lifetime warranty against materials and workmanship defects. Camden Gear is confident of their product that they are willing to give a 60-day 100% satisfaction guarantee. The bag is made of durable nylon that will all keep your belongings dry, protected against light to medium rains, and ensures durability to keep your bag last longer. It has both adjustable chest and shoulder straps to keep the bag tight and snugged against your body. 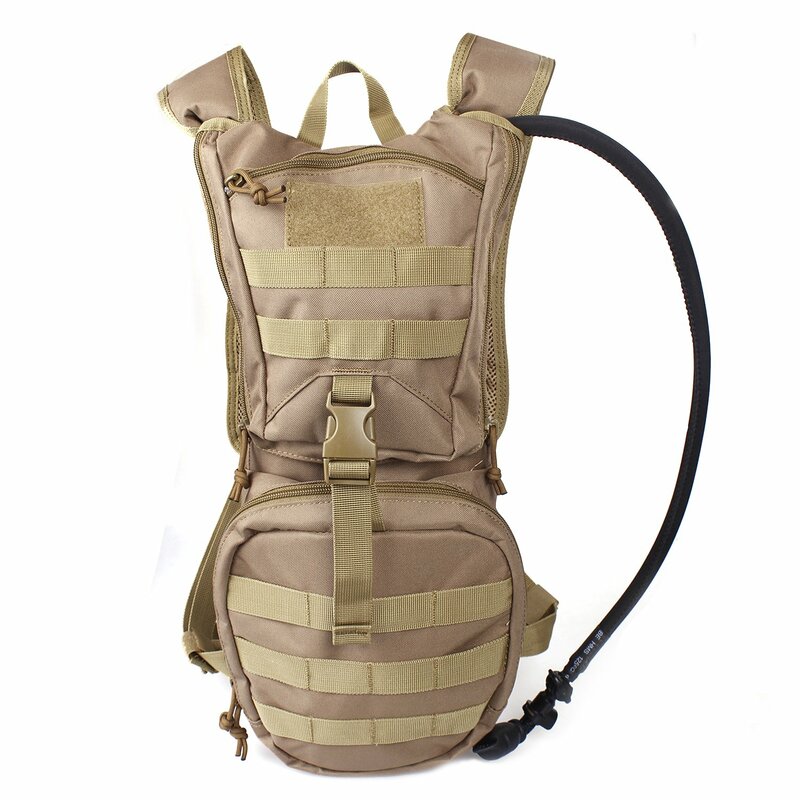 The Unigear Tactical Hydration pack features a MOLLE system for attaching MOLLE gear to the pack. Designed with 600-denier rip stop polyester that will stand up even to the most demanding environment. 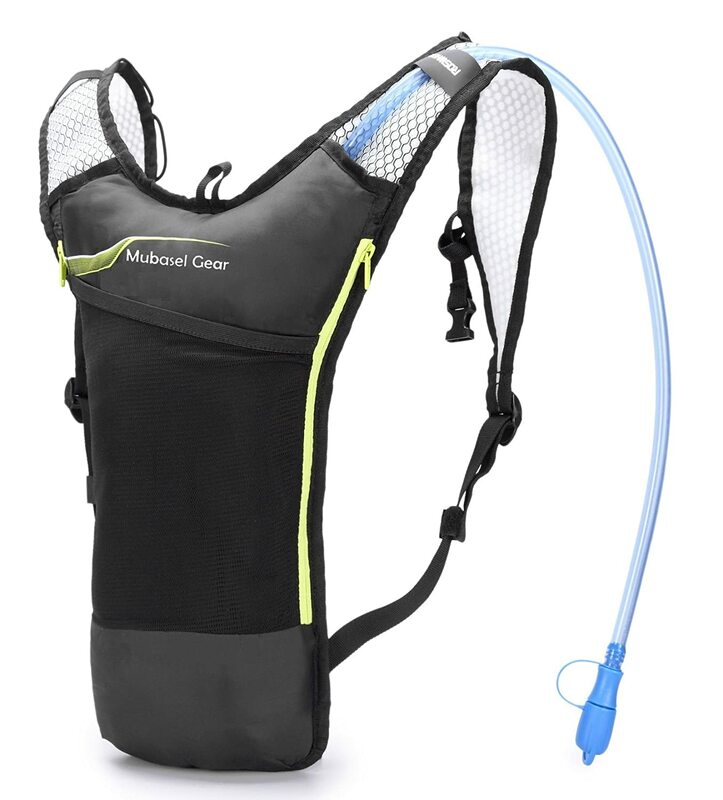 It includes a 2.5L BPA-free bladder with wide mouth and hands-free sip tube. The wide mouth will allow you to clean the bladder easily and add ice cubes for cooler water. The hands-free sip tube also helps keep your balance. Just like Camden, Unigear is confident of their product and willing to give a 60-day 100% satisfaction guarantee. Adjustable chest and shoulder straps. Fits chest sizes from teenagers to adults. The chest straps help prevent bouncing from exercising. Features an extendable bite valve. Fuss-free cleaning with warm water to rinse out the bladder. Three Storage Pockets that allows you to conveniently bring your things with you. If you want lose weight fast, running is your best option. Running has become a popular form of exercise specially for working people. Runners, nowadays prefer to take some stuff with them when they run. You probably want to bring your music player with you, a bottle of energy drink or water, extra shirts, mobile phone, etc. Your question is how you’ll carry all these stuff. Consider taking a running backpack with you. However, choosing the best running backpack is crucial. If you make the wrong choice, it will render your backpack useless or worse, it could cause back injury. Choose a lightweight material backpack with soft-padded straps that will allow even distribution of weight. Don’t choose a backpack with too many fancy accessories. Don’t overload your backpack. Just bring the essentials like water and change of shirts. Adjust the shoulder straps so it would fit snugly against your shoulder and back. Keep your stride forward to keep the backpack swinging side to side? If you want to carry a running backpack, you need to get a proper one. You cannot just pick some old backpack you have lying around and cram all your stuff in. There are things you need to consider when picking your running backpack. Shoulder, chest, and the waist straps. Are they adjustable? Do they offer comfort? The fit of the bag. Does it fit snugly or does it swing and bounce when you move? The size of the bag. You would not want to carry a bag that will pull you down, preventing you from running. Contrary to what you might think, toting a backpack while running is not just to carry your stuff. 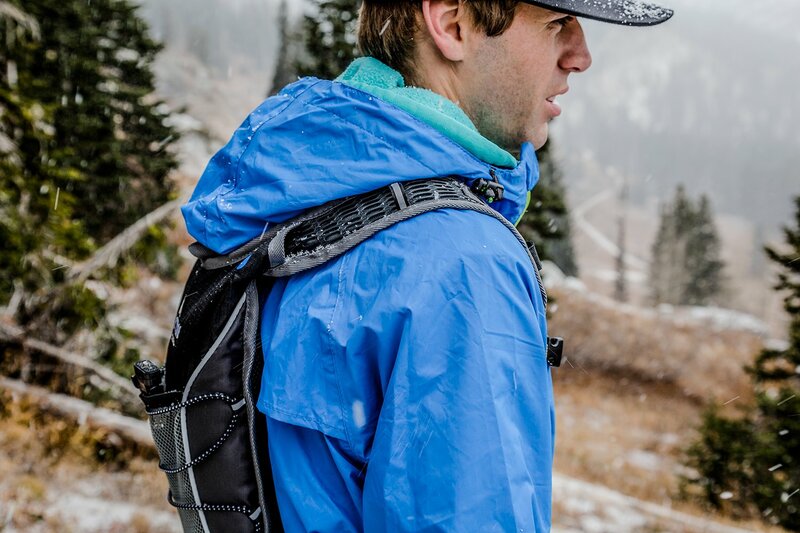 There are other benefits in carrying a running backpack. Added resistance means you need to work doubly hard, thereby helping burn more calories. Before you make your purchase, it might be a good idea to make a list of criteria on what you want to buy. Determine its use. Why are you buying the backpack and what are you using it for? How do you intend to use the pack? Storage and capacity. Once you know how you intend to use the backpack, you need to consider what you want to put in, how much you want to put in, and where to put them in. Determine the type of material of your backpack. Make sure the material can withstand the rough outdoors. Remember that your valuables are inside your backpack so your material should be able to protect them against harsh elements. Check for extra functionality. Waterproof compartments where you can store your mobile and electronic gadgets, water bottle pouch, and other additional extras will go a long way when packing your stuff. Comparing the cost. How much are you willing to spend? Sometimes, it does not hurt to pay more for a good quality product than to pay less with something that is not suited to what you need. 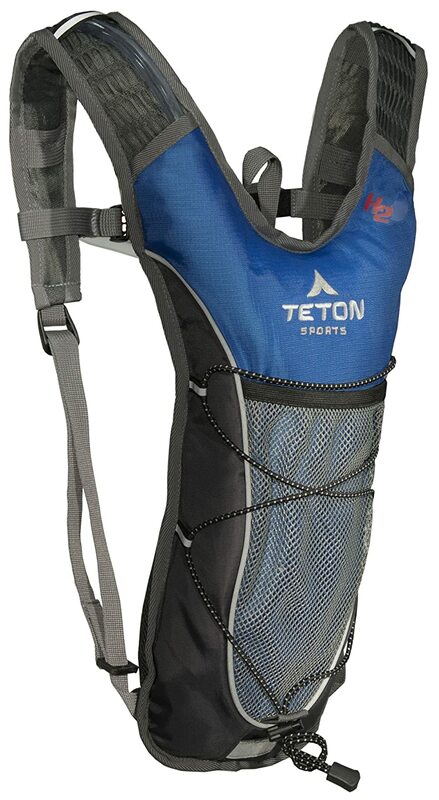 Our bet for the best running backpack is Teton Sports Trailrunner 2 Liter Hydration Backpack. It is an ideal product for a variety of activities, including marathons and long distance running, because it is lightweight. You don’t need to worry about the backpack getting in the way of your running. The mesh compartment can hold a lot of stuff leaving, you free to focus on your running and not on trying to keep all your stuff from falling. 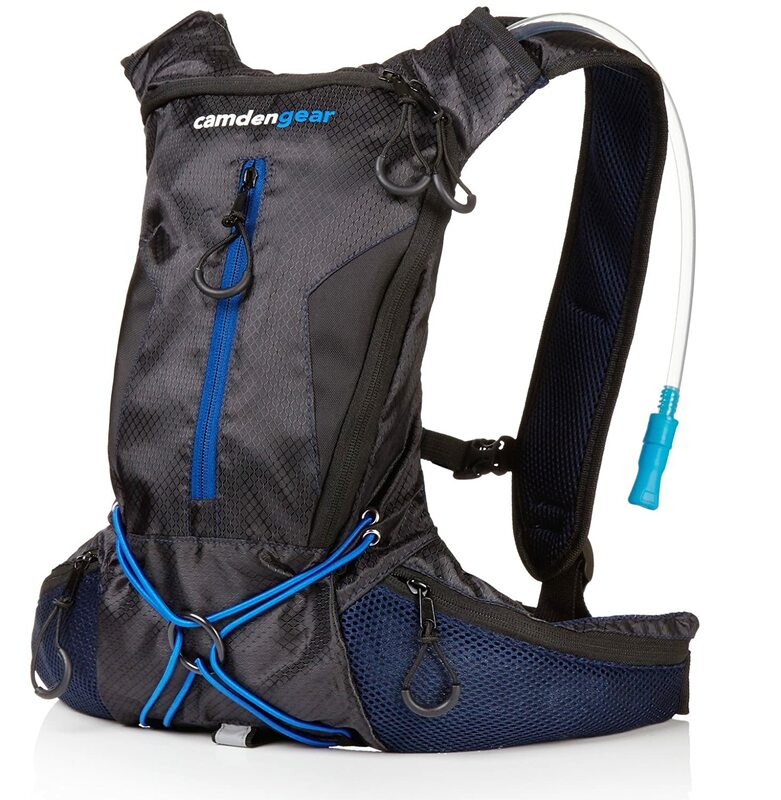 The 2-liter hydration bladder is beneficial, and even if its full, it will not affect the weight of the backpack. Additional safety features include the built-in orange whistle, reflective trim and strap clips to keep snags.